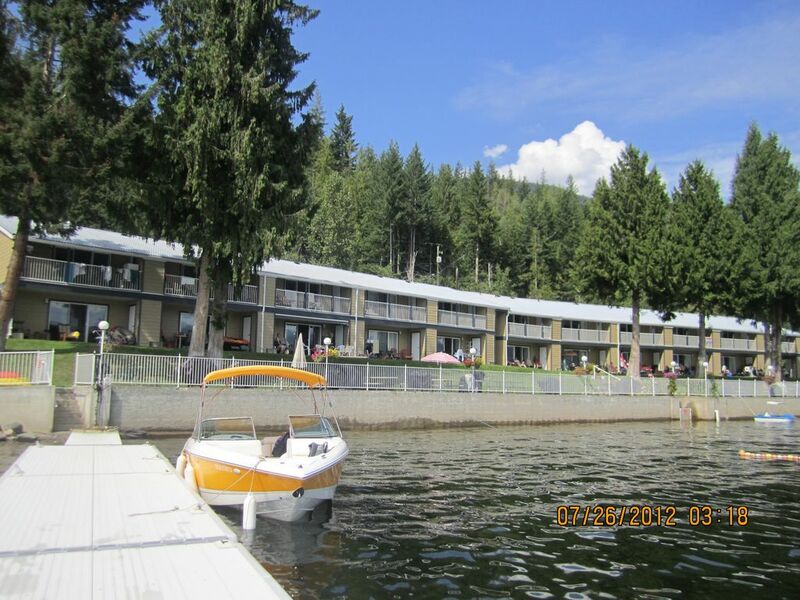 Come to the Shuswap and enjoy the long, lazy days of Summer at this private 2 bedroom Lake front condo. Spend the day lounging on the beach with an ice cold refreshment or playing with your kids in the roped off swimming area. Build sand castles, go golfing, read a book or just simply enjoy the views of the lake, mountains and wildlife. Relaxation abounds. In the evening enjoy socializing with the other owners and guests around the community fire pit making smores and memories or kick back in your unit and enjoy a movie or show. The unit features a full kitchen with microwave, dishwasher, fridge and stove and all utensils. We are situated next door to the Anglemont Marina which offers groceries, liquor store, hot food (burgers and fries, for those nights you don't want to cook), and boat moorage. Our Unit is equipped with a buoy to park your boat. For one vehicle. Overflow parking on road up top. Anglemont Golf and Country Club 5 minutes. Kayak and paddleboard rentals close by.